When I first heard about this documentary, I thought that maybe it would be about how the Trayvon Martin story had been manipulated by lawyers, the media, and opinionated talk show hosts into something it wasn’t. I surely didn’t expect the filmmakers to run with the same false narrative that played out in the weeks and months leading up to George Zimmerman’s not guilty verdict. But that’s what they did. I have nothing against the Martin family. When you look at it from their standpoint, they had every reason to be mad at the system. Their son was dead, and they wanted someone held responsible. I understand that. But when they brought in Benjamin Crump to lead that battle, they were led astray. Crump wasn’t interested in justice for Trayvon Martin. He had his own self interests in mind. The problem that Crump and his team of Civil Rights lawyers encountered was that the facts of the case did not fit their narrative. They tried to make them fit. But no matter how hard they tried they could not overcome the truth. Geroge Zimmerman did not, as Crump said over and over, profile, pursue, and shoot Trayvon Martin. It simply did not happen that way, and the court case proved it. So why spend five plus hours trying to twist the same facts. They haven’t changed. Episode one starts with the death of Trayvon. We hear a lot about stand your ground. We hear both Trayvon’s father and mother claim that they could hear their son screaming for help in the background of one of the 911 calls. Here are the facts. Stand your ground did not play a role in the trial. This was a self defense case. As for the parent’s proclamations that the screaming heard was Trayvon, there are a couple of important facts to consider. Trayvon’s father talks about how after he first heard the screaming, he replayed it some twenty times. Why did he do that? He did it because as hard as he tried to make that scream fit his son, he could not. He may have been told by an eager Crump that it was Trayvon screaming; he may have imagined that it was him; but it was not Trayvon it was Zimmerman. How do I know that? Early in the investigation, long before the 911 tapes were released, Zimmerman tells the cops that he was screaming for help. When told that there might be a videotape of the incident, Zimmerman expresses hope that such a tape exists. Why would he say that if there could be potentially damaging evidence? You can hear the terror in Zimmerman’s voice. He didn’t make up the story after the fact. This entire case boils down to this one central piece of evidence. If the person screaming for help is Trayvon, you have a solid case against Zimmerman. If, instead, the scream is coming from George Zimmerman, you have all that you need to prove self-defense. Now this is a problem for Crump. If it’s Zimmerman that is crying out for help, it destroys the whole black teen with a bag of skittles being shot by a white guy narrative that he continued to push. Here is another big problem with this case and how Crump pushed a false narrative. We know that Trayvon was wearing a hoodie. The family had a picture of Trayvon in a hoodie. 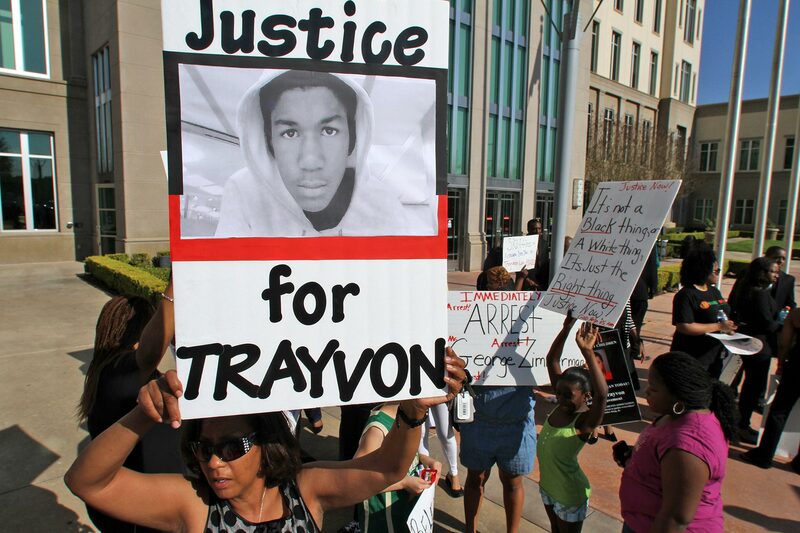 The only problem is that Trayvon was fourteen years old in that picture. Not seventeen, the age he was on the night of his death. The family had plenty of pictures of seventeen-year-old Trayvon, but those images didn’t fit the narrative. 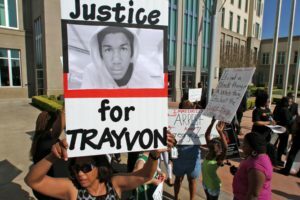 That misleading image of Trayvon propelled the story for months and continues to provide a false narrative. The filmmakers, the same team behind the excellent The Kalief Browder Story, make a veiled attempt at presenting a balanced story. For the most part, they do present both sides of the story. But they also decided to not include some important evidence from the trial, such as ballistics evidence that showed that it was Trayvon who was on top of George Zimmerman when he was shot. Another problem I have is the conflation of political movements such as athletes kneeling and #blacklivesmatter with the Trayvon case. None of those things occurred during this period. As for the last episode demonizing Zimmerman. I won’t defend Zimmerman for making racial slurs. There is a story here about how a tragedy can be manipulated to further one’s agenda. How the media can latch on to a narrative and never let go despite evidence that points elsewhere. This is not it.